10% Off Selected Hotels with Member Prices at Expedia.com.au Enjoy the great perks of being a Expedia.com.au member, such as 10% off selected hotel bookings. 25% Off Featured Hotel Deals at Expedia.com.au Save 25% on the featured hotel deals now at Expedia.com.au. Kids Go Free with Selected Packages at Expedia.com.au Take your kids on a journey of a lifetime, completely free of charge with selected Expedia.com.au packages. 35% Off Selected Hotels When You Stay for 5 Nights at Expedia.com.au Enjoy this fantastic deal from Expedia.com.au, saving you money on selected stays. Up to $402 Off Combined Flight and Hotel Bookings at Expedia.com.au Make an incredible saving on your holiday planning with Expedia.com.au when you combine your flight and hotel bookings! Up to 51% Off Selected Hotels at Expedia.com.au With up to 51% off selected hotel bookings available at Expedia.com.au, why book anywhere else? Last Minute Flight Deals from $209 at Expedia.com.au Save big when you book last minute with Expedia.com.au. 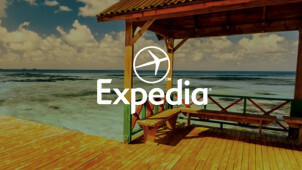 Expedia Inc. is an American travel company that owns and operates several international global online travel brands, and fare comparison sites including; Expedia.com, Hotels.com, trivago, Venere.com, and Travelocity. It owns 200 travel booking websites in about 75 countries - listings around 350,000 hotels and 500 airlines. Expedia is all about giving consumers the best deals on the market for their travel, accommodation, car hire, and excursions. It’s a one-stop-shop, which means you can craft your entire travel itinerary under one virtual roof, from the comfort of your own home. You’ll never need to step foot in a travel agency again! If you have a very specific budget for your next overseas adventure, Expedia online can guide you to the best prices, and also offers regular deals via the Deals page. If you’re the kind of person who loves the thrill and spontaneity of booking last minute, head to the Last Minute page and scoop up a fabulous deal for a list of popular and niche global destinations. Spoil yourself and your loved ones - and be prepared to pack your suitcases at the last minute. How do I use my Expedia coupon? Check vouchercloud for our latest Expedia offers, and pick a code to copy. Click ‘shop now’, and wait to be redirected to the Expedia website. On the homepage, fill in your required dates and passenger numbers. Follow the booking steps, filling in your passenger info and additional extras. Download the Expedia app and you’ll gain Double Expedia+ points on all your bookings. What should I take with me when I book a hire car through Expedia? You will need to take your driver’s licence and the credit card that you made your booking with. How can I pay for Expedia Activities? You can pay for your activity online with a debit or credit card. You must pay the fee in full. Does Expedia offer travel warnings/alerts? Yes, if you go to this section of the website, you’ll find the latest travel alerts to keep you in the know before/during your travels. All Expedia bookings are confirmed in an email. You will be able to manage your bookings online, via the customer login page. You can amend or cancel bookings via your online account. Be aware that cancellations incur fines if you do not given enough notice, or your booking type restricts cancellations. Expedia is an online only service, so you can shop and book your travel at any time that suits you. Expedia is an online travel agency that’ll get your holiday or business flights, accommodation, excursions and vehicle hire sorted all under one virtual roof. Booking every aspect of your travel plans couldn’t be easier with Expedia as your trusted guide. Use an Expedia coupon to save some money on your purchases when you reach the checkout. If you like getting the best travel deals available on the market - Expedia sifts through all the offers to ensure you get the best option to suit your budget. Are you a bit stuck for holiday ideas at the moment? If you have no destination in mind, why not let Expedia’s excellent Blog guide you through the popular hot spot global destinations? Browse through the main topics such as Destinations, Experiences, Listopedia, and Tips & Inspiration - and in no time you’ll be booking your flights and accommodation for your next adventure. Expedia is the expert in world travel, so rest assured, you’ll find the dream holiday at the dream price. Expedia isn’t just about giving you the means to jet off on your holidays in the fastest mode - those who like a more leisurely approach may want to look at the Expedia Cruise options. Not only does a cruise offer you rooms with a view, there’s enough activities onboard to keep everyone in the family happy. Use an Expedia discount code to make some great savings on your cruise package. When you’ve got such a good discount, you can afford to add even more little luxuries to your holiday!